All Buzz Brite Team Members are committed to a strong safety program that protects its staff, its property and the public from accidents. Employees at every level, including management, are responsible and accountable for the company’s overall safety initiatives. Complete and active participation by everyone, every day, in every job is necessary for the safety among all workers on the job site. An injury and accident-free workplace is our goal. Through continuous safety and loss control, we aim to accomplish this. 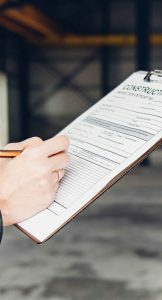 While the below policy is meant to guide all team members, subcontractors and anyone involved in a job-site, this information does not take precedence over the Occupational Health and Safety Act. Promptly providing injured workers with a level of care within the scope of each attendant’s training. Objectively recording reported signs and symptoms of injuries and/or exposures. Referring injured workers to medical treatment if injuries are serious or beyond the scope of an attendant’s training. Being physically and mentally capable of safely and effectively performing all related duties. Please find bellow the SDS sheets of all the products we use in at our job-site. The information below is made available to all, customers and employees, for their benifit. ALL PRODUCTS ARE TO BE PROPERLY LABELED.